J Search » Who Knew Healthy Could Taste So Good? Who Knew Healthy Could Taste So Good? If you love creamy, delicious, flavorful dip, you might want to consider serving hummus at your next party. Hummus is a Middle Eastern and Arabic spread that has become a worldwide phenomenon over the years. Its texture and versatility have also made it one of the most popular snack foods at parties and gatherings. You can buy many different kinds of hummus at the grocery store, or there are a number of easy hummus recipes that you can try at home. This is probably the best way to go, because there is nothing like being able to create food that fits your own unique tastes. A hummus spread is traditionally made using chick peas. These peas are cooked and mashed, then blended with tahini, which is made from ground sesame seeds, olive oil, garlic, salt, and lemon juice. Other recipes with hummus can either add additional ingredients to this original blend, or add a completely different flavor profile. For example, spicy hummus dip might simply add in cayenne pepper, jalapenos, or other types of peppers. Roasted garlic hummus dip only involves roasting a few cloves of garlic before adding them to the blender. But for rarer recipes such as peanut butter hummus, tahini sauce is omitted completely, and peanut butter is added for a nuttier taste. There are several other recipes with hummus that include ingredients such as Greek yogurt, artichoke, sun-dried tomato, pesto, and avocado, among others. 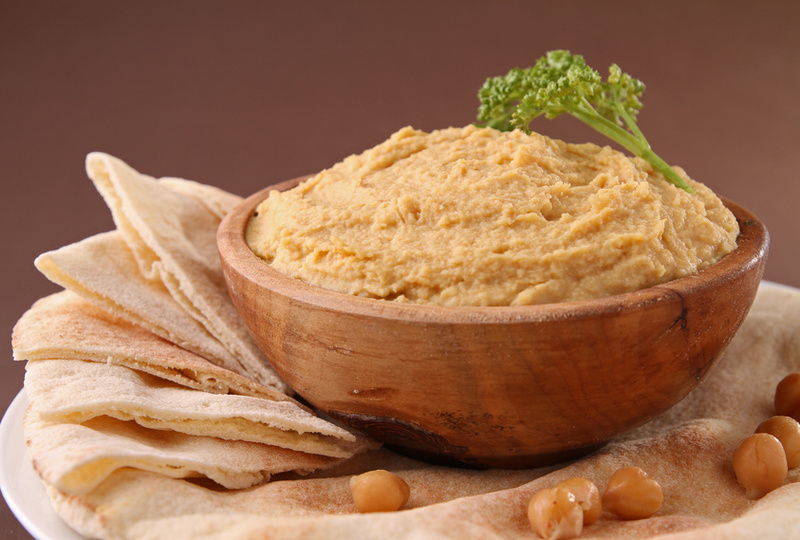 Whichever recipe you choose, hummus is considered one of the healthiest dips out there. The chick peas provide ample fiber for your diet, as well as protein, and the sesame seeds in tahini are full of an essential amino acid called methionine. Hummus is also high in iron and Vitamin C, and provides a significant amount of Vitamin B6 and folic acid. So, you can feel good about indulging in as many hummus recipes as you want. You can eat hummus with chips, veggies, crackers, and even spread it on bread for a sandwich. There are so many ways to enjoy this tasty, flavor-packed food, and you can experiment with the traditional recipe to find the one that works best for you. Helpful links.